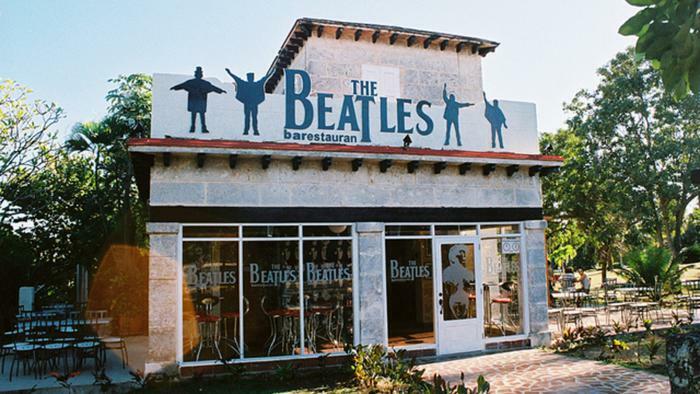 HAVANA, Jan. 19 (Xinhua) — The music of legendary British band The Beatles was practically banned in Cuba in the 1960s. But today there’s a haven on the island for fans of the timeless rock group.At night people line up to get into the Yellow Submarine, a busy nightclub in Havana that for almost eight years has celebrated the rock and roll spirit of the Liverpool quartet.Named in honor of the band’s popular song, the club has been built to resemble a submarine, with hatches and tubular features. 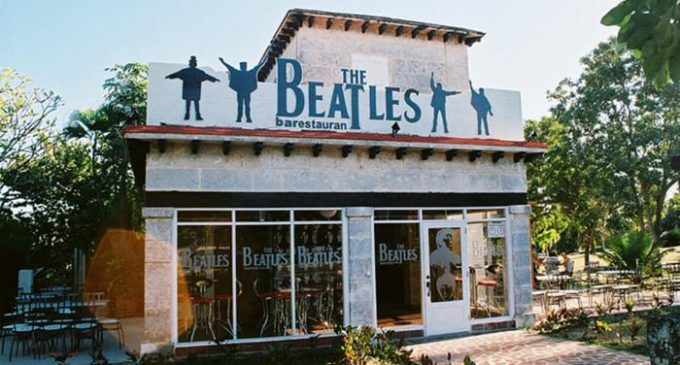 The walls are adorned with images of “The Fab Four” and the lyrics of their most famous songs.Here, Cuban bands play covers of Beatles hits and tunes by other well-known rock bands.”Traces of the Beatles are scattered throughout the panorama of music in our country,” journalist and cultural promoter Guillermo Vilar told Xinhua.Those who think the influence of the British band was restricted to Cuban rock groups “have a limited vision,” said Vilar, also art director at the Yellow Submarine and one of Cuba’s top experts in rock music.The Beatles’ influence is evident even in Cuban tropical music ensembles, such as Van Van, or in the songs of Silvio Rodriguez and Pablo Milanes, and in the works of concert music composer Leo Brouwer.At a park located across the street from the Submarine, Vilar, 68, sits on a bench next to a life-size bronze statue of John Lennon that was inaugurated in December 2000 by Fidel Castro.In October 2002, British music producer George Martin, the so-called “Fifth Beatle,” came to see the statue and admitted to being moved that Cubans “remember and love Lennon.”Each Dec. 8, on the anniversary of Lennon’s murder, massive concerts are held in his memory and in tribute to the band he helped create.This week, Cuba’s Cinematheque is also honoring the band with a program of movies and documentaries, including such emblematic films as “Yellow Submarine,” “Help!”, “The Night that Changed America: A Grammy Salute to the Beatles” and “A Hard Day’s Night.”The event will offer sales of records, books, and other items related to the quartet that changed the world of music in the 60s and 70s.There will also be special activities in other parts of Cuba, including The Cavern, a replica of Liverpool’s famous tavern — where Lennon, Paul McCartney, George Harrison and Ringo Starr launched their careers — in the eastern city of Holguin, about 730 km from Havana.The Cavern, which tries to recreate the original site, is known for its statues of the four musicians seated around a table.In Varadero, Cuba’s renowned Caribbean beach resort, The Beatles Restaurant Bar also has a special program, although every day from midnight, a local band plays the group’s most famous songs.At the entrance, life-size bronze statues of the four musicians welcome visitors.The Beatles’ presence is also felt in eastern Santiago de Cuba, the second largest city, where a life-size image of McCartney recalls the visit of the musician and his family in January 2000 to the old Spanish fortress of El Morro.The sculpture is located at the El Morro restaurant on the outskirts of the fort, where McCartney had lunch during a brief visit to the city.These are some of the signs of Beatlemania in Cuba, a country that safeguards the band’s cultural legacy and contribution to the island’s musical heritage.